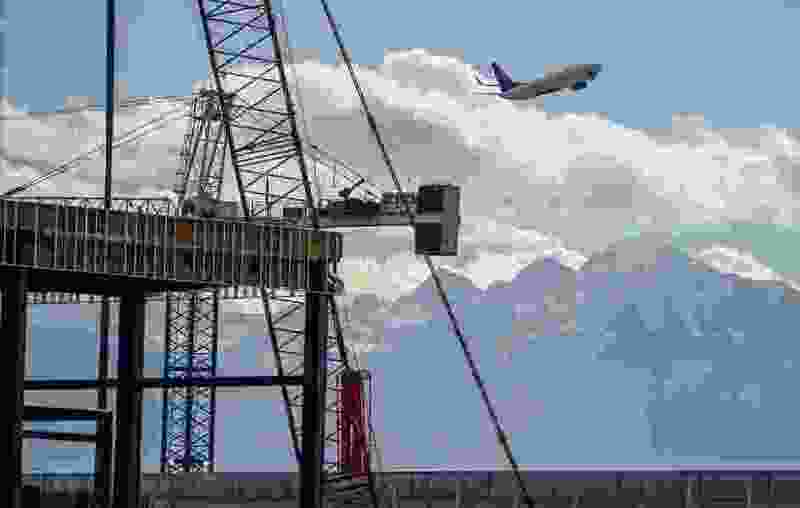 (Leah Hogsten | Tribune file photo) The new Salt Lake City International Airport expansion project on Monday, Oct. 22, 2018. The first phase construction of the $3.6 billion project is due to open in late 2020. The ongoing $3.6 billion rebuild of Salt Lake City International Airport should give Delta Air Lines and its hub there a big competitive advantage in the West, a top airline official said Wednesday. Shannon said Delta is in the process of spending $12 billion to $14 billion through passenger fees nationwide to help upgrade its terminals at airports, including Salt Lake City, New York’s LaGuardia, Seattle, Atlanta and Los Angeles International. Delta and industry observers, he said, figure “the expansion of these key locations will give us a 20-year advantage” by making passengers want to travel to its superior facilities designed to offer advanced operations and service. “The most important project we have is Salt Lake City, right here,” he said. The project, Shannon added, will make what had been considered airport palaces “look like a cottage” — and should make Utah’s capital the hub that passengers prefer in the West. 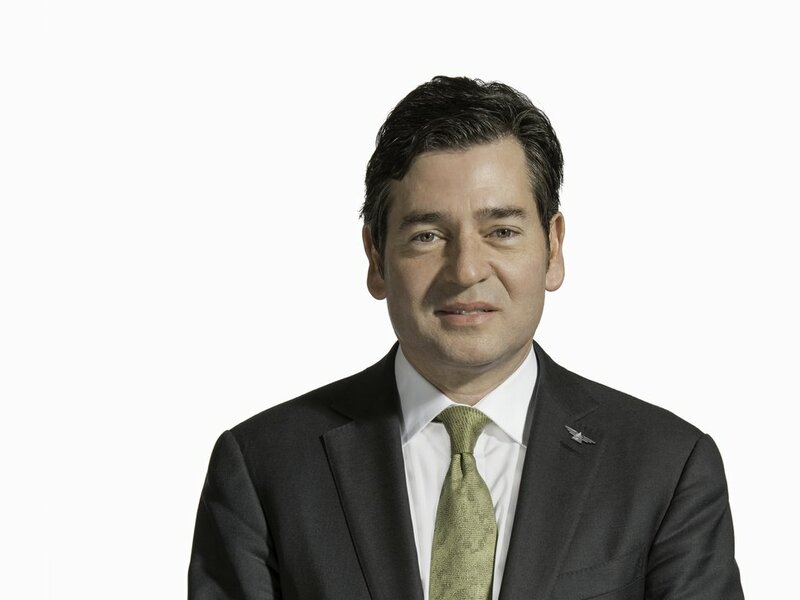 (Courtesy of Delta Air Lines) Holden Shannon, Delta Air Lines senior vice president of corporate real estate. He praised the new design with parallel terminals between two runways. He said it will help avoid bottlenecks seen at too many other airports with spiderweb designs, where planes that have landed often must wait for aircraft that are blocking narrow taxiways before advancing to gates. It should help keep operations on time. The design also makes expansion easier by adding more parallel terminals as needed. Salt Lake City’s new gates are designed to accommodate aircraft of many sizes to offer great flexibility to airlines and their operations. While many airports create huge entry and check-in areas, Shannon said, Salt Lake City and other new Delta projects seek to put less there and put more space and better facilities where passengers spend most of their time — at and beyond security around gates. Shannon said new Salt Lake City terminals will include more seats, all with access to power plug-ins, and more area for lines at check-in — instead of obstructing crowded hallways. Also, the airport will be designed to allow international passengers to more freely use biometrics — such as eye scans — to avoid the need to present passports in different areas. SLC International Airport in top 10% globally for on-time performance, one of only six in U.S. Concessions chosen for the airport offer the sorts of food and retail most passengers want, Shannon said, while some other airports tend to offer choices that are too exotic and expensive. Shannon added that the rebuilt airport will be “a vehicle for commerce and expansion here” that will benefit the state. Current facilities at the airport were designed to handle about 10 million people a year. The airport now sees 25 million passengers a year pass through it. Shannon praised the city for keeping the facilities in remarkably good repair, given their age and the number of people using them — and said other airports in similar conditions have fared far worse. But he’s excited about replacing them with new state-of-the-art facilities, likening it to demolishing a run-down neighborhood and replacing it with top-of-the-line buildings.